In my experience, email is the most abused tool in marketing today. This is a shame, because it is also one of the most powerful. That power can be used for or against companies; a focus on artful email marketing engagement can build customer relationships and increase sales, while generic, one-size-fits-all campaigns often sabotage a brand’s reputation. Ignoring email marketing is almost impossible in the current B2B marketing landscape. As a result, it is necessary for businesses to clarify exactly what email is (and is not) able to do for their companies – as well as what customers expect from them on this channel. After consulting for nearly 5 years in marketing automation, I have witnessed hundreds of email marketing campaigns from different enterprises. Here are a three of the most critical truths about customer engagement that might change your perspective on email marketing as a whole. First, it’s important to remember that email is a personal means of communication. When you show up in someone’s inbox, your message will likely be listed alongside emails from their boss, client, or family member. Even if it’s funneled into an advertising folder, it will still be next to personalized emails from companies with whom the buyer has a history. Many people dislike receiving generic, impersonal messages in such a personal space – especially coming from an unknown source. At best, these emails are ignored; at worst, the uninvited contact will cause distrust in the brand. For this reason, campaigns that involve batching and blasting cold leads – especially those from purchased email lists – often hurt a company’s reputation, rather than drive leads. In a B2B context, email should not be used as an awareness channel. Instead, it is a space best used for sending highly targeted and personalized messages to former customers and warm leads. When your email marketing strategy is focused on adding value to buyers by sharing relevant content, your open rates, click-throughs and conversions will skyrocket. Email may be a powerful tool to build relationships with buyers, but expecting it to single-handedly direct your growth is a mistake. Your website is much better suited to move the customer relationship in the right direction and, ultimately, to drive conversions. Email is, at its core, a traffic driver for your website. The main reason it stands out from other traffic drivers such as social media or search advertisements is personalization options – no other medium offers so many options to develop custom pathways for each customer type and vertical. This is great for building customer relationships and long-term engagement. However, ultimately the question must be asked: What happens when a person clicks from my email through to my website? This requires understanding not only the rate of click-through, but tracking prospect behaviour once they land on your website. If the landing pages tied to your email campaigns are not engaging, the entire point of driving that click will prove fruitless. For this reason, a high-quality, personalized email stream must be paired with equally powerful and personalized landing pages. Before doubling down on any nurture channel, be sure your website can make an impact on your warmed-up leads. To properly weigh your engagement metrics, it is important to put them in context. The value of a particular engagement can vary based on where the recipient sits in the marketing and sales funnel. For example, if you are sending an email newsletter to a list of buyers who recently bought a product or service (and thus may not be in the market again for awhile), it makes sense that you might not receive immediate conversions, however, you would expect to see a higher-than-average open rate for this “warm” audience. 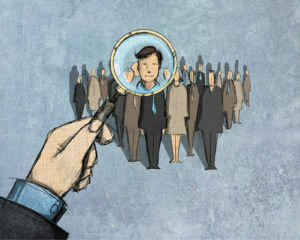 With a list of cold leads, clicks to the website could indicate funnel movement towards a sale. When setting email marketing targets and reporting on KPIs, be sure to contextualize the data by specifying which audience was on the receiving end. If you have a sophisticated reporting system, connecting your email marketing to lead data can also allow you to tag and track the future engagement of a recipient. A prospect may be influenced by an email but not convert until a few days later – perhaps through a search engine or by calling a familiar sales person. Seeing the journey of those who open emails, rather than simply knowing where or not they are getting the messages, can help to clarify your return on investment. 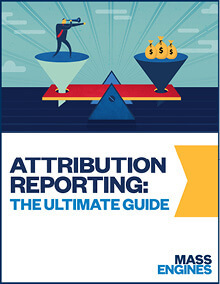 For more information on developing a system that can track Marketing-influenced leads, you can download our eBook on Attribution Reporting: The Ultimate Guide. Email marketing is one of the best tools for moving prospects through the funnel, because it is a relationship-building and content sharing medium. There are very few instances where email makes sense as the first touch in the marketing funnel. It is also not the arena where you will make a final sale in most cases. The value of email lives in between these two touch points, as well as following a sale for retention. Email marketing is one of the best ways to utilize your prospect data. Information about a recipient’s identity, needs and past interactions with your organization can be used to personalize emails, segment audiences, and measure the impact of your email efforts. In the end, email marketing is really about building a relationship – learning about your prospect, building familiarity and trust, and ultimately driving recipients to your website for conversion.